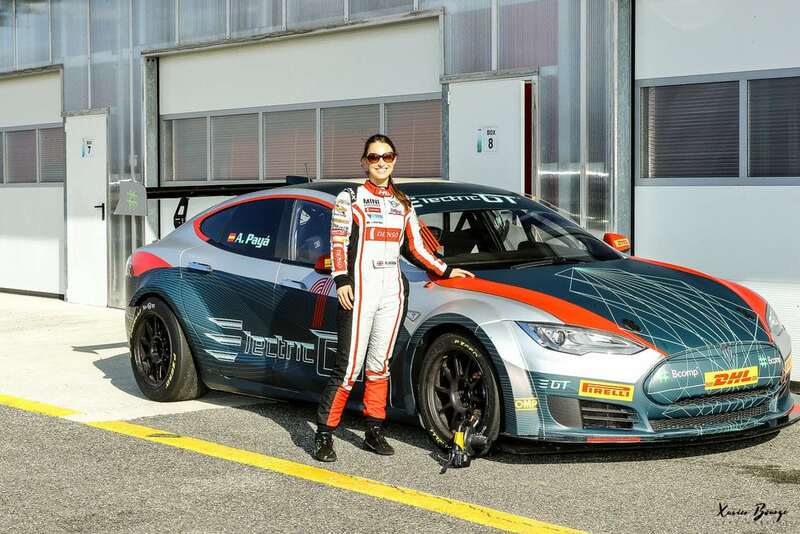 You may have seen us announce last year that Rebecca has been chosen to become part of the Age of Light and join the exclusive Electric GT Drivers’ Club. Now, Electric GT Holdings Inc. has announced that the Electric Production Car Series (EPCS) has been officially sanctioned by the FIA. In January, the EPCS race-prepared Tesla Model S P100D (the same kind Rebecca tested in Pau) passed its official FIA crash test. Alongside this announcement, the details of the race format have been announced. Drivers will qualify in three heats before two 60km races, one during the day and the other at dusk. An innovative “Drift Off” competition will also take place at suitable circuits, where fans will see the top two finishing drivers, plus two fan-voted drivers, go head-to-head to complete a series of drifting challenges to secure three further championship points.